Since October is upon us, and Halloween will be here before we know it, I figured I'd add to my collection of Halloween treats for this year. 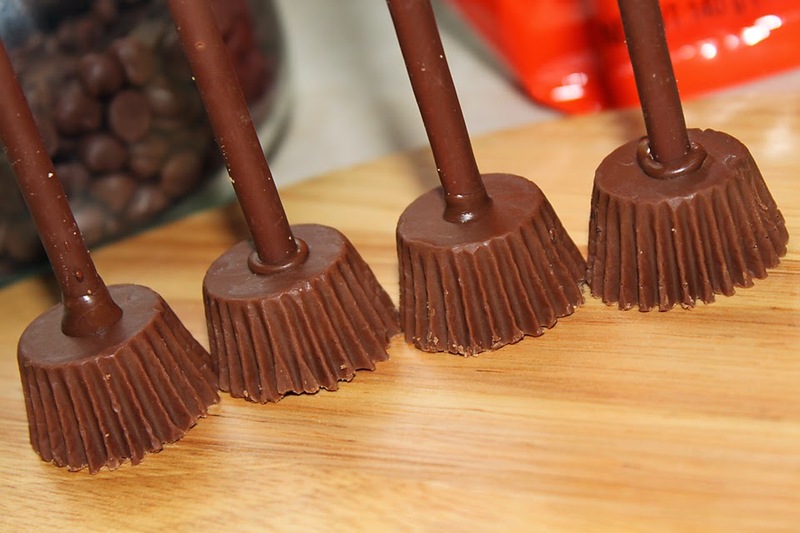 I made a really cute witches hat chocolate treat a couple of weeks ago, so today I decided I'd make a broom stick! 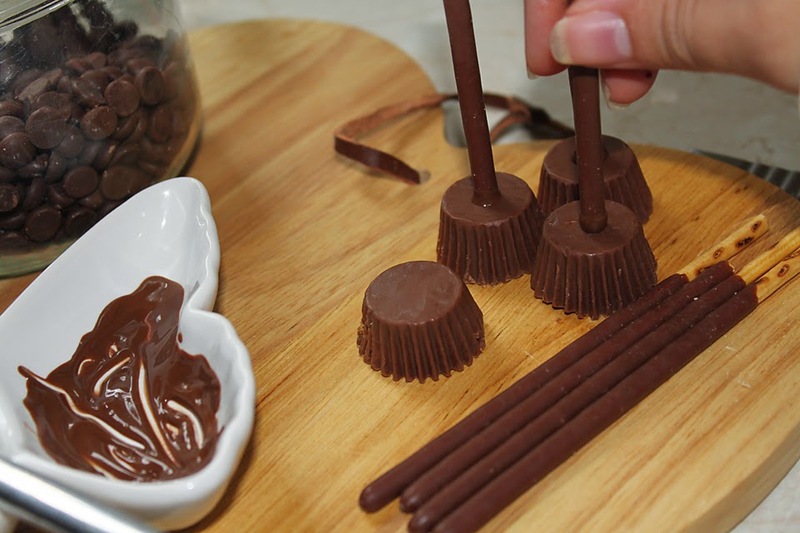 First step is to gather all of your ingredients, and then start unwrapping your peanut butter cups & mikado sticks. 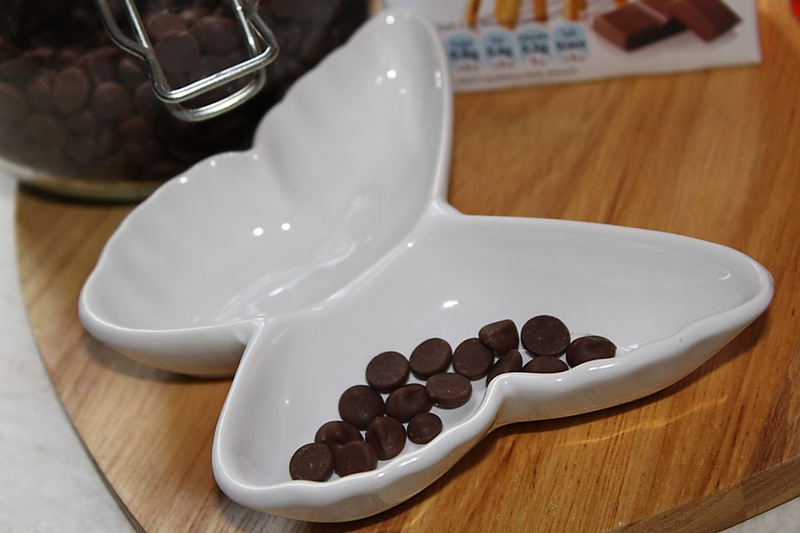 Pop your chocolate chips into a bowl, and microwave at 15 second intervals until the chocolate has melted. Mine took 45 seconds, but this could vary depending on your microwave so I'd recommend checking regularly. 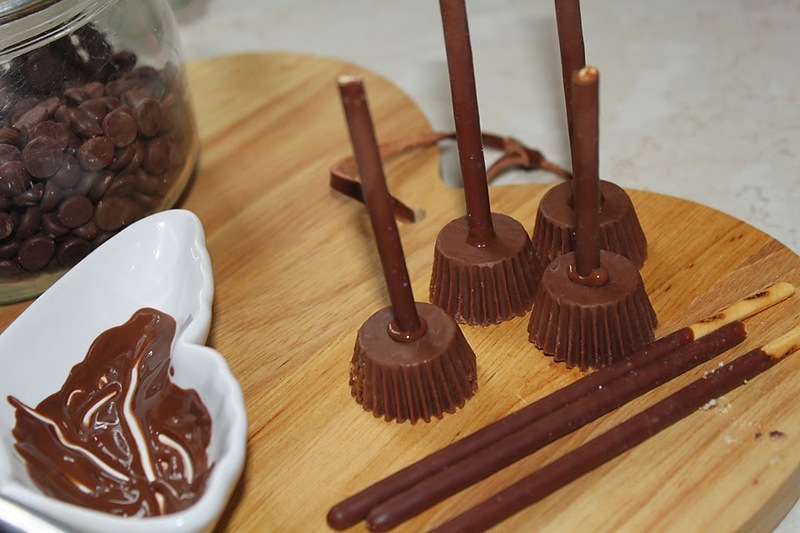 When your chocolate has melted, set it aside for a second whilst you chop your mikado sticks. 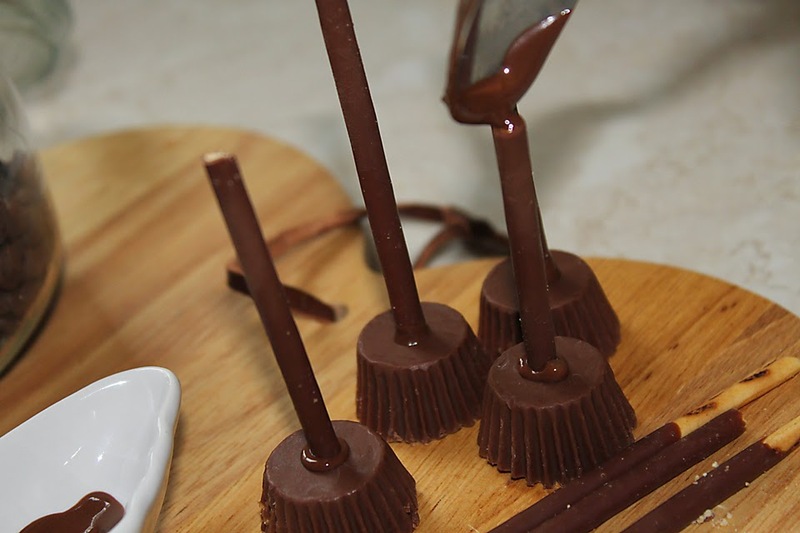 Cut them so that you only have the chocolate left. Then it's time to create your broom sticks. 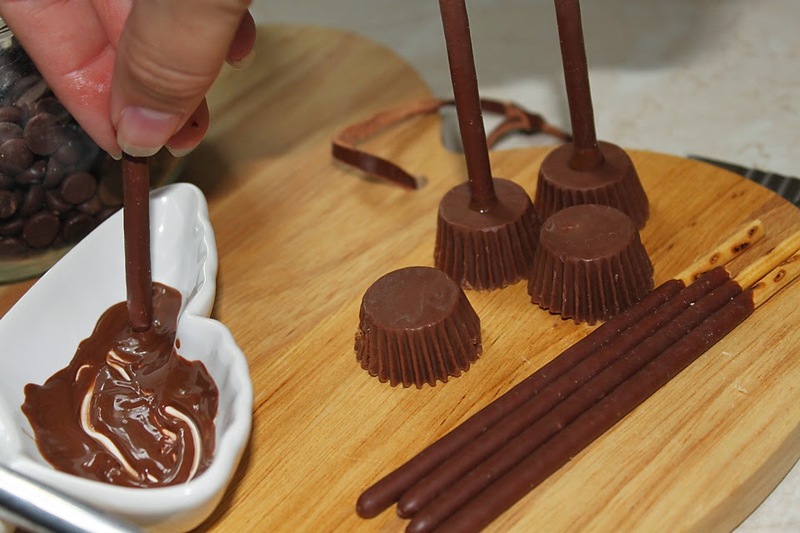 Take the rounded edge of your mikado stick, dip it into the chocolate and place it into the center of your peanut butter cup. (I did try using the other edge as it would save some time, but it just wouldn't stick). 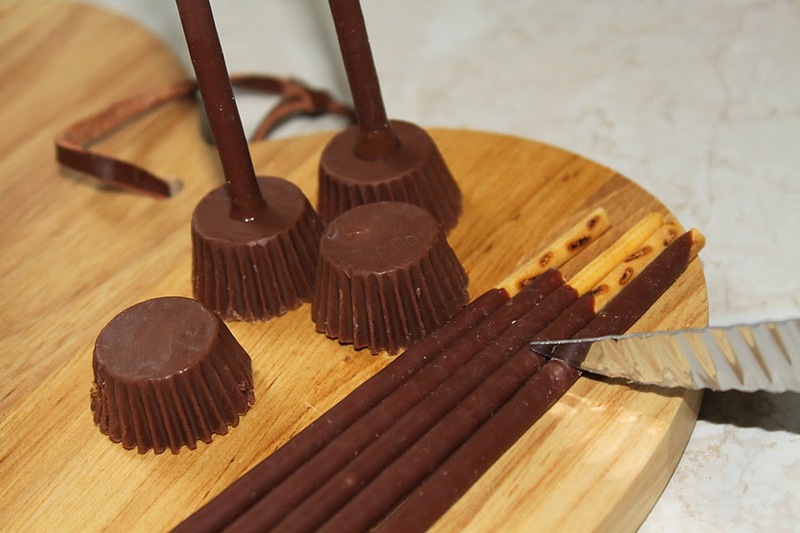 Leave your peanut butter cups for a few minutes to set a little, before going back and dropping another dollop of chocolate on the top to cover the biscuit center. 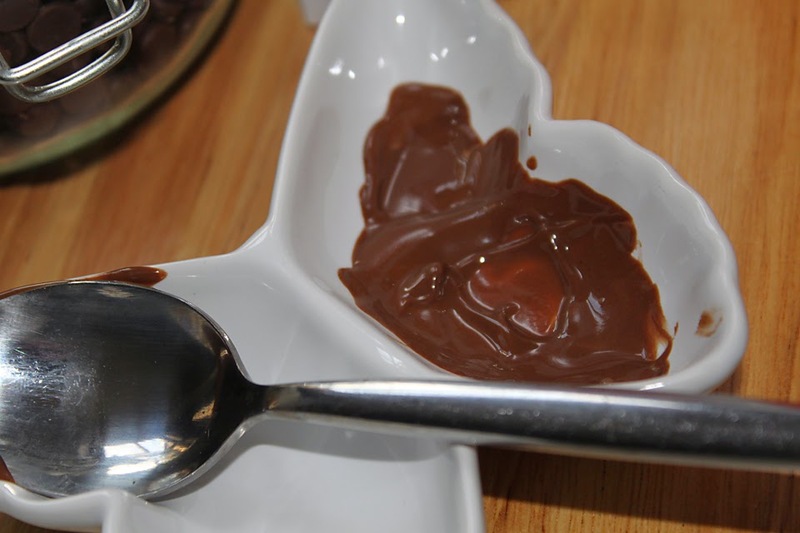 Delicious, what a fun recipe :) I love your blog and I have followed you with Bloglovin. If you ever get a chance to check out my blog I would be delighted, thanks! These are amazing! I feel so hungry for chocolate right now haha. I'm definitely going to try and give these a go closer to Halloween! Very cute! And they don't look overly complicated which I appreciate. Thanks for stopping by my blog! 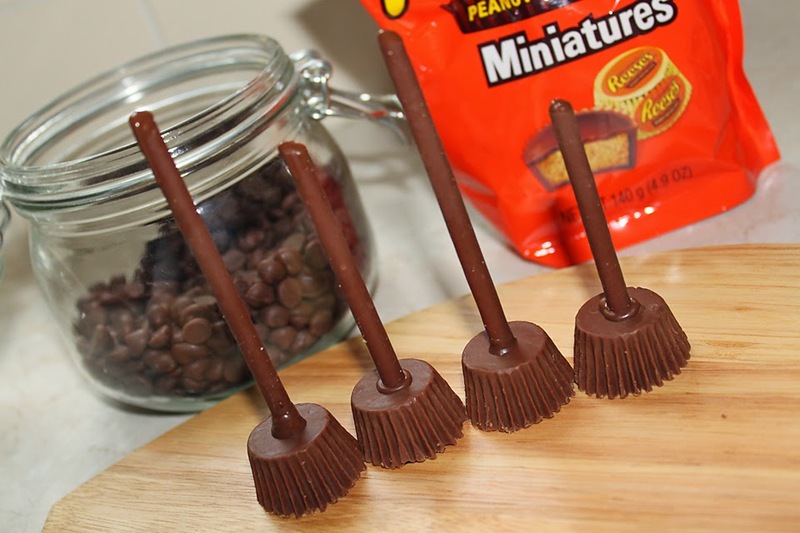 It never occurred to me that peanut butter cups look like broom brushes before, but they totally do! Great idea! What a cute DIY halloween idea!! Halloween is my favorite holiday! 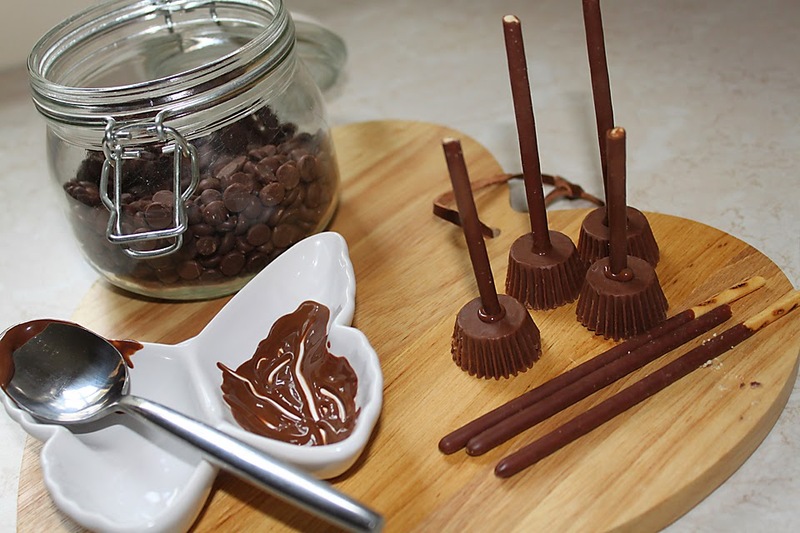 I wanna make these for a Halloween party :) you have a great blog! Oh my word these are just too cute!! And look yummy! Definitely am trying these. Oh gosh, these are just too cute!!! I love all things Halloween, so these are definitely going on my to make list. I love them! 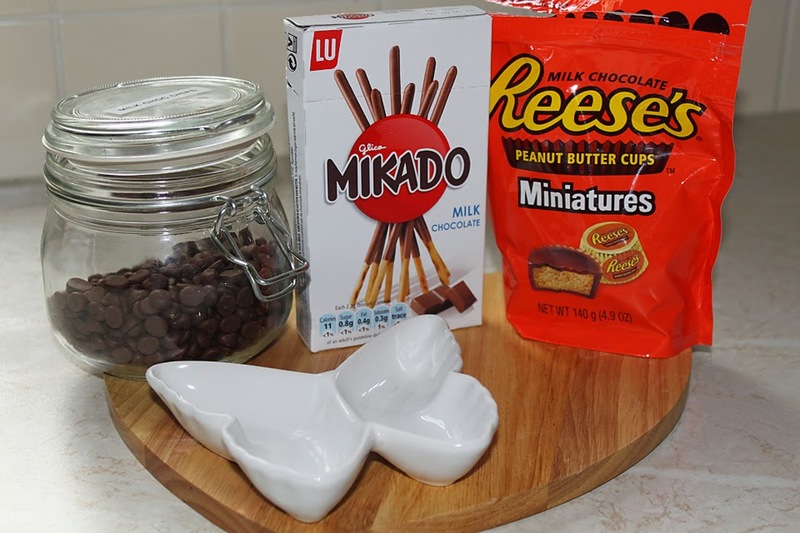 Omg these looks so good, I have white reeces so I might try this with white mikado as well :)! !